Is there really any doubt that virtually all our markets, especially commodities and with the exception of real estate, have been propped higher as a direct or indirect result of the Federal Reserve’s policy of quantitative easing? I have no doubt. The question remains outstanding just how far the Fed, in concert with its banking friends on Wall Street, has gone and will go to further manipulate our markets. That question may never be fully answered. What a shame! For those who believe a preponderance of truth, transparency, and integrity are the cornerstones for long term fiscal health and financial well being our markets remain a decidedly challenging arena. In commentary written specifically for Sense on Cents, our friends from Forextraders.com share some fabulous insights and perspectives on the ups and downs of the equity markets. The Stock Market Is In Limbo—Which Way Will It Go? Is it safe to go in the water? In other words, is it safe to play in the markets under the current construct? Do small retail investors truly stand a chance against the ‘big boys’ on Wall Street running high powered algorithmic trading programs and assorted other high frequency trading mechanisms? Are fundamental traders being thrown around amidst the ‘high waves’ and ‘strong surf’ pounding the shore? If The Market Declined 15% . . .
. . . would you be surprised? What would you do? What if the market declined by 20%? Would you be surprised? What would you do? How about if the market rose by 10% to 20%? Would you be surprised? I would. The reason I ask these questions is an attempt to address the fundamental question as to what the market is telling us and what American consumers believe. The equity market has traditionally been a reliable indicator of the future economy. 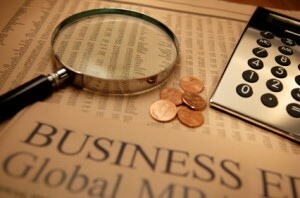 The market provides a discounted valuation of future earnings. Those earnings drive companies and the economy at large. Retail Sales Stronger Than Expected? But What About The Revisions? When the going gets tough…the tough American consumer goes shopping, right? Do the virtues of thrift and frugality truly stand a chance in America? Let’s review the recently released Retail Sales report and navigate this leg of our economic landscape. The Wall Street Journal provides a snapshot of the surprisingly strong headline number, but dare I say the WSJ does not provide a full comprehensive review. That’s ok, though, because the equity market futures are driving higher on the headline so why should we dig deeper and spoil the fun? Well, I’d be neglecting my mission here at Sense on Cents. Let’s navigate. The consumer pulled back sharply in September-but it was mostly due to the post-“clunkers” drop in auto sales. Otherwise, the numbers were surprisingly healthy for the most part. Overall retail sales in September dropped 1.5 percent after a 2.2 percent spike the month before. The September drop in sales was not as severe as the market forecast for a 2.1 percent fall. The decline was led by a 10.4 percent plunge in auto sales after a 7.8 percent boost in August. Excluding motor vehicles, retail sales advanced 0.5 percent, following a 1.0 percent jump in August. The consensus had expected a 0.3 percent rise for September. In typical fashion, the focus on the current month’s outperformance is not properly measured in the context of the previous month’s downward revision. If The WSJ wanted to provide real integrity in its reporting, it would provide an equal weighting to the revision in conjunction with the actual report. In doing so, we witness that this month’s so called outperformance is almost uniformly balanced by last month’s downward revision. 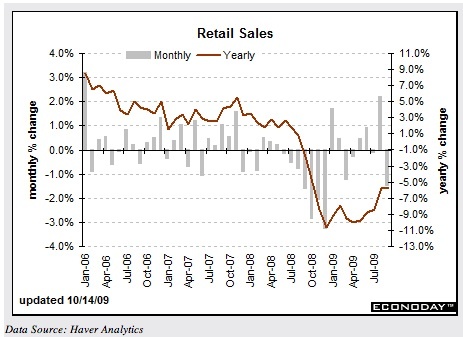 We witness a similar dynamic at work in Retail Sales excluding auto sales, as well. By incorporating the revisions, retail sales over the last two months show a marginally positive trend, but hardly the ‘surprisingly healthy’ review provided by The WSJ and other market mavens. Checking on the other volatile component, gasoline sales provided lift, gaining 1.1 percent in the latest month. Is this an indication of increased consumer confidence and thus the willingness to travel more, or merely a function of increased prices for gas . . . or perhaps a combination of the two? To tout it as a pure positive is disingenuous. Nonetheless, excluding motor vehicles and gasoline, retail sales rose 0.4 percent, following a 0.6 percent gain the previous month. Although core components were mixed, they were mostly positive and reflected sizeable gains. Apparently, the consumers that have jobs are a little more optimistic and are willing to spend. 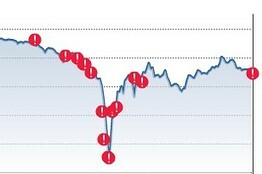 Enjoy the ride higher in equities, but don’t get overly caught up in the euphoria. Analysts may neglect to properly measure revisions, but we do it at our peril if we want to properly navigate the economic landscape.